The bats that you might see in Grants Pass are usually petite, weighing just around 60 grams and measuring no longer than 19cm. They can appear tan or black due to the hair that grows all over their bodies, and their wingspan is usually less than 30cm. You will only see bats during the early evening hours and through the night as they are nocturnal and come out to hunt the main staple of their diet – insects. Because insects are usually found near outside lights, standing water, and swimming pools, during the evening hours, this is also when you will see bats flying around. Bats have been known to live alone or, with just a few other bats, however, usually they live in colonies and each female will give birth to one litter per year, with each litter having a few babies in it. Bat infestations are usually pretty easy to spot because of the feces they leave behind, or the bats themselves are seen flying around the home. Bats can carry rabies, just like many other types of animals can, but this is rare. Despite the association with evil, witchcraft, and blood-letting, bats are relatively harmless to humans. The openings that they can enter your house through only need to be about 3/8” big. This is why it’s important to have a professional investigate any signs of a bat infestation, as our training allows us to recognize small openings as entrance points they may otherwise be dismissed as too small. Second: The following inspection will occur during the day and will allow the technician to study the bats while they are asleep and not moving. This will provide the final information needed to determine what treatment options will work best for your particular infestation. 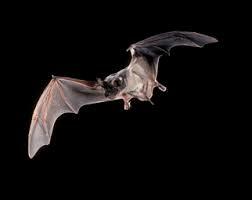 You should always have any pest infestation in your home addressed by a professional, this includes bats. While they won’t attack you or, try intentionally to harm you, bat dropping can be very damaging to your respiratory system and their nesting habits can cause significant damage to your home. At O-One Pest Control we have been providing treatment and prevention services to Grants Pass residential and business owners for over 30 years. You can trust that when you contact our office for your bat problem, you will be treated with respect and your infestation will be thoroughly addressed.